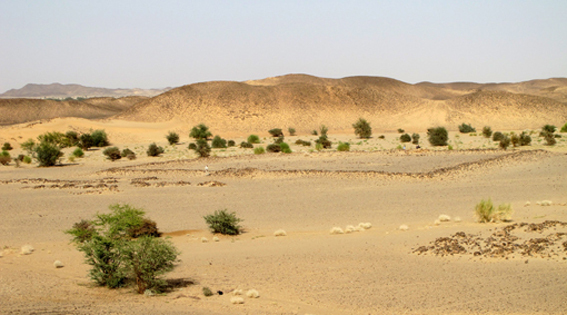 The enclosure of Umm Khafour on the southern bank of Wadi Abu Dom also lies in the vicinity of the wadi oasis of Umm Ruweim. Nowadays there is only a wide stone wall with entrances on the east and west, with no recognizable structures within. Geophysical exploration of the large courtyard did however produce anomalies suggesting mud brick architecture. At present, the dating is not known, but the cemetery with Christian box-graves in front of the west entrance show that the structure must be older and was no longer functioning in medieval times.